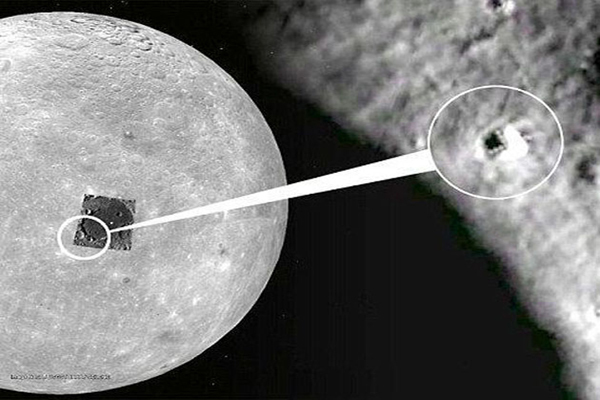 Pakalert Press » Is The Moon An Artificial Alien Base? Several strange phenomena have let some to believe that the eternal companion of the Earth, the Moon is in fact some sort of a huge spaceship. Crazy theory? Well heres why. I think it’s important to distinguish between aliens and other anomalies on the moon that have been observed with the conjecture that the moon is hollow. Having inhabitants on the moon does not make the moon artificial. If by chance “WE” are the only intelligent life in the universe, what a waste of space!! !